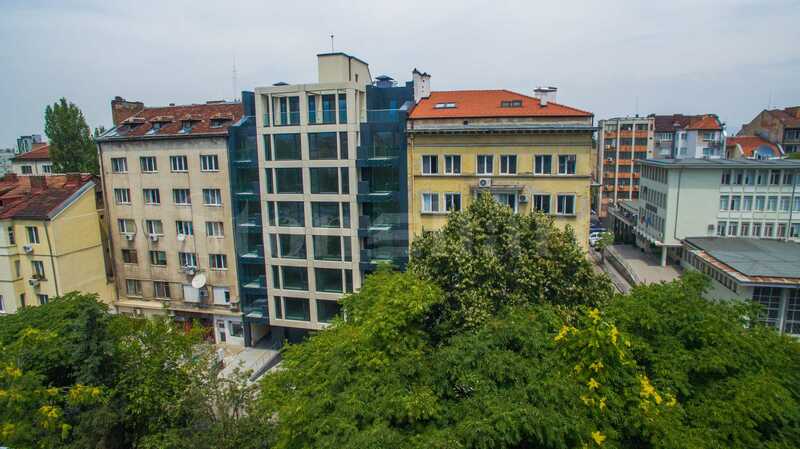 We present a boutique residential building with Act 16-permission for use and the last available 2-bedroom apartment and a shop for sale in the center of Sofia. The boutique building is located next to the Courthouse, Macedonia Square, state institutions and Sveta Nedelya church. Serdika Metro Station is only a few steps away. The location is very communicative near the main boulevards - Al. Stamboliiski Blvd., Gen. Skobelev Blvd., Todor Aleksandrov Blvd and Vitosha Blvd. 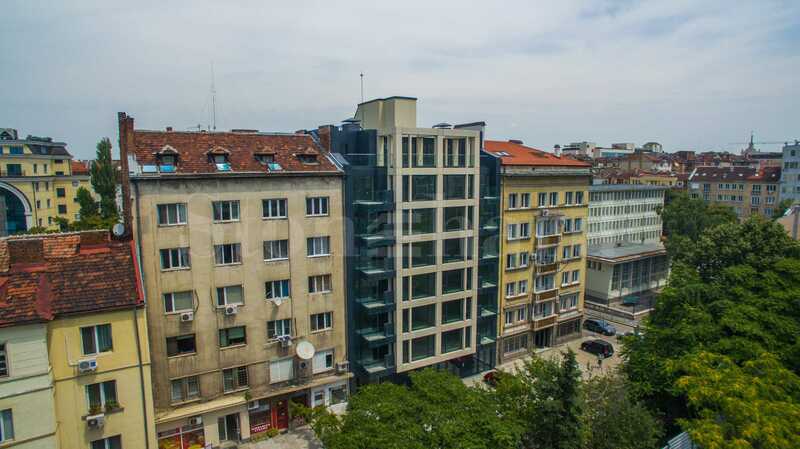 The 7-storey building features a small number of apartments (13 two-bedroom residential units), underground garages for each apartment and a shop. The total built-up area is 2 620 sq.m. The building is serviced by a silent Schindler lift for 10 persons, adapted for use by disadvantaged people. The yard is landscaped and there is an underground automated irrigation system. The Class-A building offers finishing works filled with high quality materials and modern technologies. Aluminium joinery "ETEM" /thermal profile/, doors "REYNAERS" System - "E 75"